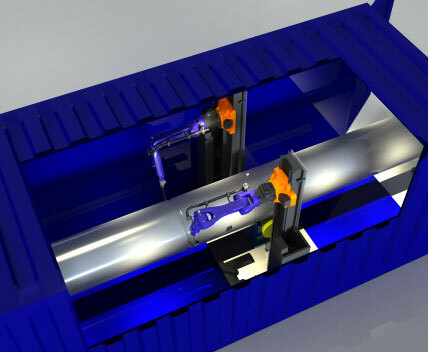 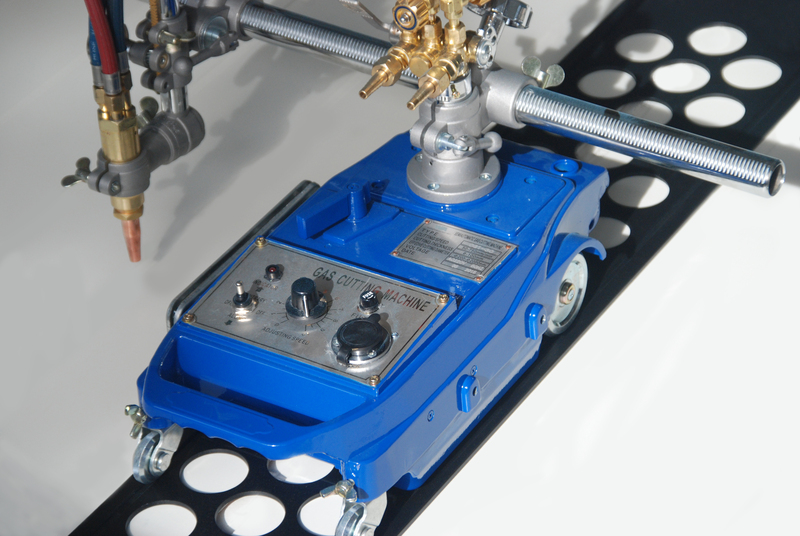 By installing the station inside a standard 20 ft. container, this welding station can be moved from site to site with a setup time of only 15 minutes. 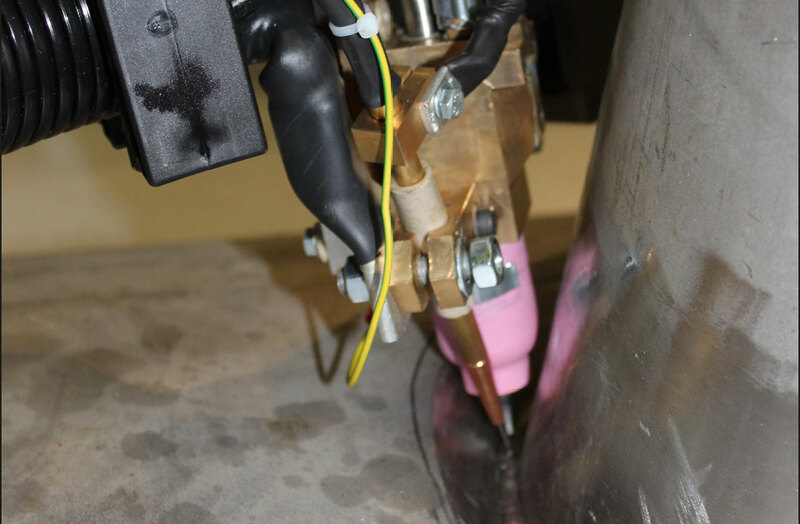 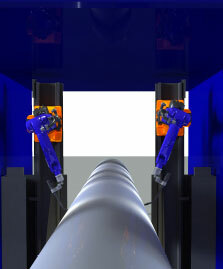 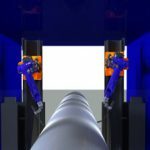 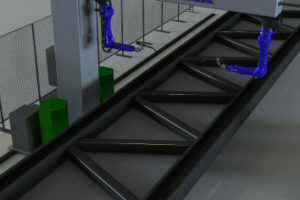 The station contains two cooperating robots mounted on vertical lifts to increase reach and ensure optimal welding positions when welding orbitally on the pipe. 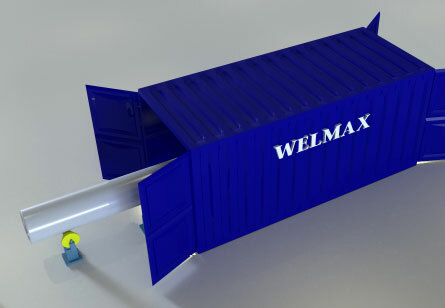 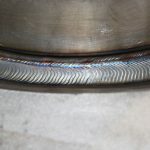 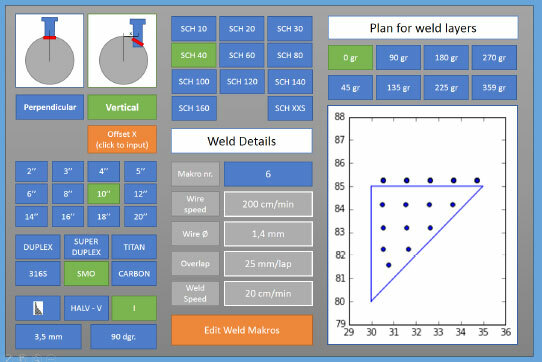 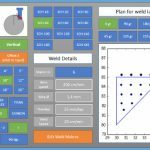 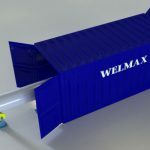 The station is made into adaptive and intelligent welding station by utilizing laser guidance and the adaptive welding and robot controller, Welmax ProControl. 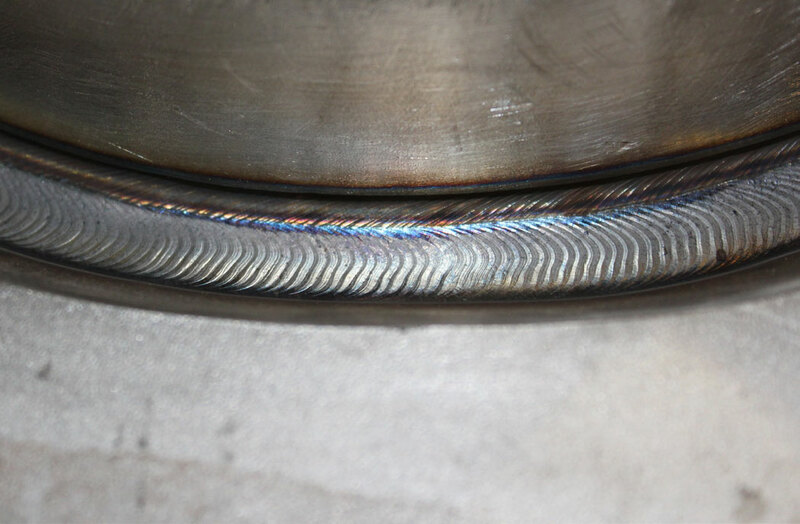 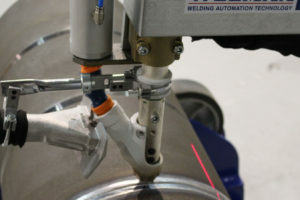 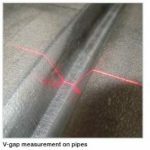 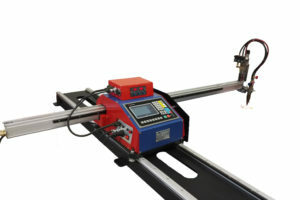 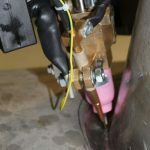 Both robots weld in a continuous sequence, until the calculated set of welding layers is finished simultaneously verifying the position and volume of the seam with the laser scanner.